Saxon Harbor, on the south shore of Lake Superior, was destroyed by the July 12 floods. In the early morning hours of July 12, 2016, heavy rains began to fall in northern Wisconsin, with a storm stretching from Douglas County, just northwest of Minneapolis, to Ashland County, south of Lake Superior. Some areas received 8 to 12 inches of rain, which caused flash flooding, and faced strong winds that damaged public infrastructure, including many roads and all-terrain vehicle trails. The Canadian National Railway line between Ashland and Glidden, Wisconsin, had to be closed. Numerous bridges got washed out as well, and Saxon Harbor, along the south shore of Lake Superior, was destroyed. Even though the storm hit a very rural part of Wisconsin, the impact on local communities was immense. The Bad River Indian Nation in Ashland County took the brunt of it. At one point, there was no road access into the Bad River Reservation, and electricity, natural gas, and the water treatment plant were all knocked offline. The Wisconsin National Guard (WING) had to be called in to assist with lifesaving services at the reservation, mostly to fly dialysis patients to nearby hospitals via helicopter. GIS played a significant role in supporting the state and local response to this destructive storm. And while GIS has been used to support government operations for nearly 10 years, the State of Wisconsin employed ArcGIS Online in this capacity for the first time. It delivered magnificently. Wisconsin Emergency Management (WEM) and WING—both divisions of the Wisconsin Department of Military Affairs—first used GIS prominently during the Midwest floods that inundated Iowa and Wisconsin in 2008. That event caused $500 million in damage to public and individual property in Wisconsin, and 33 counties received federal disaster assistance. 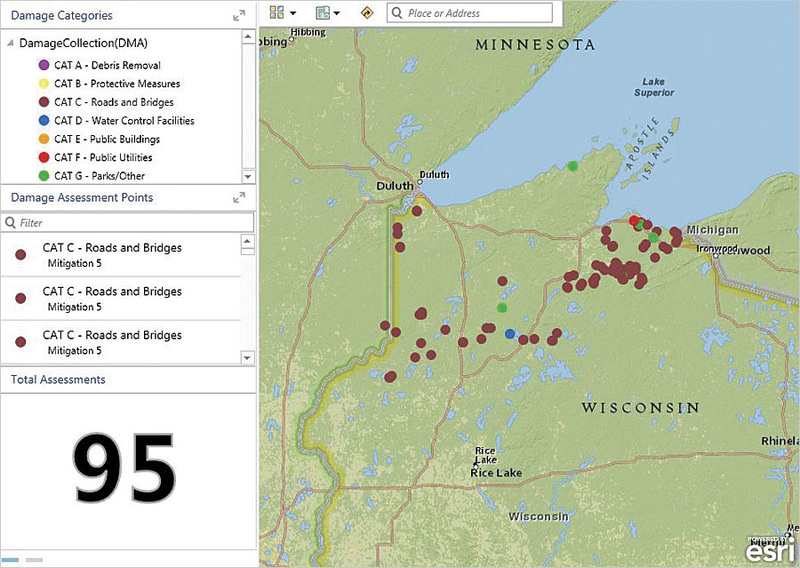 Decision-makers at Wisconsin Emergency Management (WEM) and the Federal Emergency Management Agency (FEMA) used Operations Dashboard for ArcGIS to see the damage cost assessments as they came in from the field. At the time, emergency and relief operations relied heavily on paper mapping products created with ArcGIS Desktop. During the more than two weeks that the State Emergency Operations Center was active, responders used more than 350 custom (paper) mapping products, such as simple incident maps, infrastructure status maps, landing zone maps, reconnaissance planning maps, and map books for the governor. A lot has changed since 2008. When WEM was introduced to ArcGIS Online a few years ago, the agency immediately began evaluating how the software could be incorporated into its response activities. The GIS team, which started off as one person and expanded to three, spent a lot of time figuring out the types of Esri Story Maps and other apps users might want to see and how they would interact with them. This was a major game changer. With paper maps, the GIS staff only has to decide what goes on the map, which cartographic styles would be the best fit, and what the paper size should be. 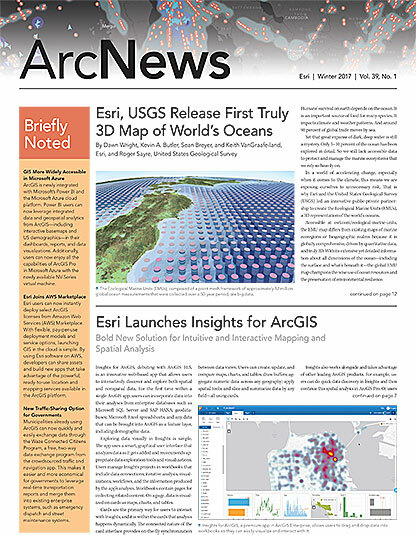 Incorporating ArcGIS Online, however, required that additional decisions be made regarding user experience, such as which fields should display pop-up windows, what the visibility range for different map scales should be, and which tools users should have available so they can adapt the map to their needs. With support from senior leaders at the Department of Military Affairs, both WEM and WING decided to test out how to operationalize ArcGIS Online. In June 2016, the two agencies conducted a full-scale, weeklong exercise called Miles Paratus to measure GIS readiness; evaluate the sharing capabilities of ArcGIS Online; test how imagery from the Civil Air Patrol could be integrated into a Story Map Tour app; and evaluate how the WING Joint Operations Center could better manage its resources before, during, and after an event. The exercise comprised 2,500 military and civilian personnel at the federal, state, and local levels to assess interagency coordination and readiness. The results were impressive. Participants in Miles Paratus provided positive feedback about the story maps, the Civil Air Patrol was excited to see its imagery used in a different way, and GIS staff members in the State Emergency Operations Center were able to learn valuable workflow lessons that would—unknowingly—benefit them greatly a few short weeks later. Using aerial imagery from the Civil Air Patrol, it took the GIS team only a few hours to build a Story Map Tour app of the flood damage. When the July 12 storm hit and the State Emergency Operations Center was activated, GIS staff were ready. Almost immediately, local counties started asking for assistance, so the GIS team swiftly developed plans to produce web maps and apps using ArcGIS Online—just like it did during Miles Paratus the previous month. After the storm, the Civil Air Patrol and other air assets deployed to capture 35 mm still aerial photographs of specific points of interest, such as flooded areas and washed out roads and bridges. Once the aircraft landed and the imagery was uploaded to a central repository, GIS staff got to work making the Story Map Tour app. Although it took some time for GIS team members to evaluate each photo for its usefulness, annotate the images, and publish them for consumption, it only took a few short hours to put the story map together. The GIS staff also created an incident viewer in ArcGIS Online as a catchall for data layers. The map included road closures, detours, critical facilities, stream gauging stations, geotagged photos, and the state-of-emergency status for each county. This information was updated hourly and became the principal mapping source that kept decision-makers and the public informed about what had happened and how the situation was changing. Things were going so well with ArcGIS Online that, not long after the storm, WEM decided to conduct a preliminary damage assessment in the field using Collector for ArcGIS so that the agency could electronically request assistance from the Federal Emergency Management Agency (FEMA), speeding up the process. Having tested out Collector before, members of the GIS team felt confident that they could configure the app quickly and train WEM staff to use it right away. The GIS team started by downloading the Damage Assessment solution from the ArcGIS for Local Government solutions page. This special configuration of ArcGIS Online and Collector makes it easier to administer damage assessments in the field and determine whether damage costs exceed state or federal declaration thresholds. From there, GIS staff customized the program so that it contained only relevant fields and affected counties. WEM reached out to the Esri Disaster Relief Program as well to get some extra assistance with configuring Collector. And GIS staff set up Operations Dashboard for ArcGIS so decision-makers at WEM and FEMA could see the total damage costs come in as they were being collected. This helped WEM report damages more quickly, saving days—if not weeks—of time. The whole setup worked so well that Wisconsin governor Scott Walker mentioned GIS and Collector in the letter he sent to then-US president Barack Obama to request federal assistance for disaster recovery, indicating that the technology assisted greatly with the overall response. 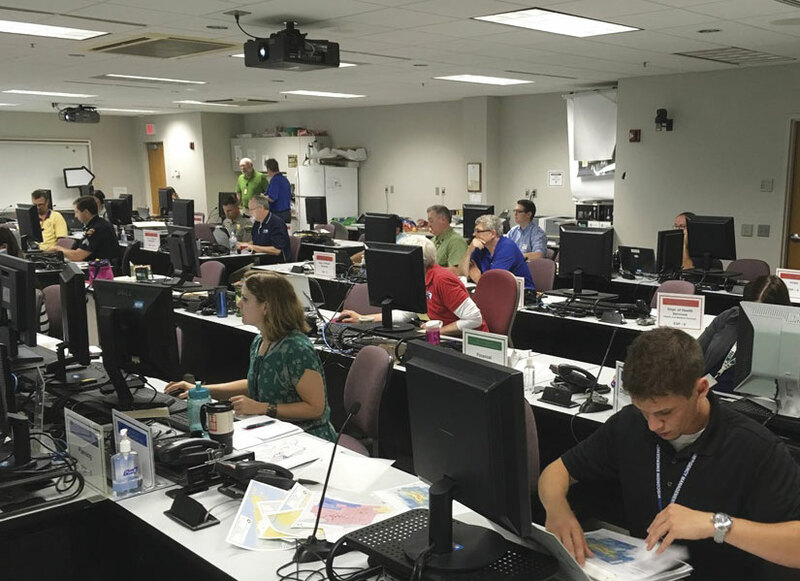 When the State Emergency Operations Center was activated for the July 12 storm, GIS staff promptly developed ArcGIS Online maps and apps to help local counties that were asking for assistance. While ArcGIS Online was certainly extremely valuable in doing damage assessments and beginning the recovery process after the July floods, GIS staff did still produce static PDF and paper products like in 2008. Emergency Operations Center managers still needed emergency declaration maps; helicopter pilots still needed landing zone maps; and senior leaders, including the governor, still needed political district maps—and they wanted them on paper. WEM initially wanted to brief the governor in a helicopter using ArcGIS Online, but the Internet connections in those remote areas of the state were questionable. So the GIS team re-created the briefing book that had been put together eight years earlier. It was easier this time, however, because GIS staff were able to print out the map along with many of the images from the Story Map Tour app and place them in the three-ring binder. In fact, the story map proved to be the most sought-after GIS product during the flood assessment and recovery period. Being able to connect a picture to its location on a map offered context, helping people better understand the size and scope of the disaster. 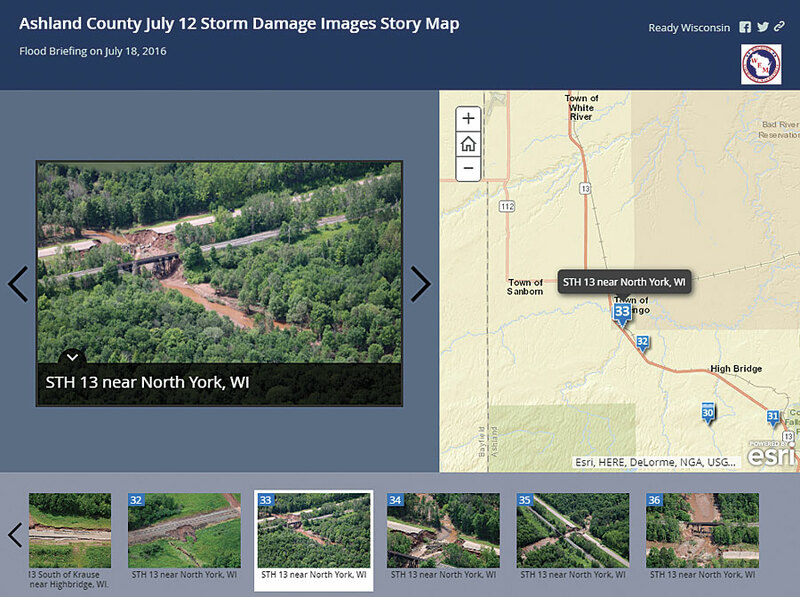 The National Weather Service’s Duluth office and Ready Wisconsin both published the Story Map Tour app and the incident viewer on their websites. When western Wisconsin experienced a small flooding event in September, the GIS team again used many of the techniques it learned during Miles Paratus and the July disaster. Currently, the Wisconsin Department of Military Affairs is planning to expand its use of ArcGIS Online and build an ArcGIS Open Data portal. WEM recently began working with the ArcGIS Extension for WebEOC as well to ensure that emergency responders have good access to GIS data. And the WING Joint Operations Center has contracted with Esri’s defense team to build out new, customized tools for Web AppBuilder for ArcGIS. While nobody ever wants disaster to strike, the GIS staff at WEM and WING like knowing that GIS—and especially ArcGIS Online—are key to managing emergencies when they occur. Chris Diller is the GIS coordinator for the State of Wisconsin’s Department of Military Affairs.